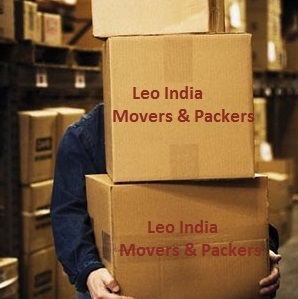 Corporate services include relocation of employees’ equipments, furniture and their other household goods to another location. . We at Leo India understand the organization blueprint of business mushrooming in all spheres and provide robust and proficient services in the relocation of employees, re-installation of equipment and machineries to different locations at an affordable price. We understand the value of time, be it city, region or any part of the world, our above par professionals perform the task within the specified deadline. 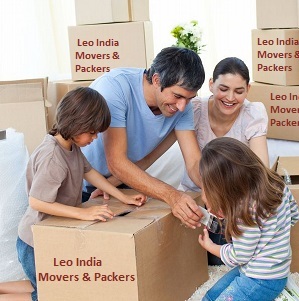 We at Leo India offer a wide array of facilities to the customer during the relocation process. Fulfilling even an iota of customer requirement is our full fledged agenda. Our team of dedicated and efficient workers understands the safety of the product and ensures that every item is well placed. We understand the proverb “Time and tide wait for none” and deliver the appliances in a short span of time surpassing the customer expectations. The residential packing materials include Led TV, Refrigerator, showcase, sofa sets and other household belongings. 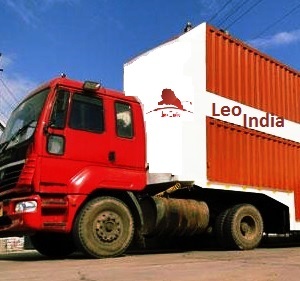 Our non peril approach and dedication has made Leo India a trusted name in the logistic territory. The customer can transfer his entire burden on our robust shoulders, from packing, loading, transportation, unloading to un-packing, we act as your ally during the whole cycle. We are embedded with highly skilled, competent man power, advanced technology, bundles of experience in our kitty and our wide panorama covers every horizon of the globe. A customer can avail ant type of transportation facility, be it corporate, industrial or for household at an affordable price. Our executive pays a visit to your home to assess the quantity of goods and after the analysis the executive will determine the total material, compute the total cost and provide a free price quote to the customer. The quote will be prepared based on the total number of men used, vehicle availed, material used for packaging and insurance formalities in case of any damage. We don’t hike any extra amount from the customer and focus on providing maximum benefit to the customer, but also brings transparency. Before packing the goods, our executive assesses all the goods, their condition and separates the goods according to their size and weight. We package smaller goods separately and larger ones separately with adequate safety measures. All the soft and delicate products are packed in wooden boxes with thermocol or bubble fittings. Heavy products are packed in heavy wooden cartons and are placed on the floor of the vehicle. Small boxes are kept above the heavy boxes for the safety and to avoid heavy damage. Before the consignment on the vehicle, we provide our customers a complete itemisation of their belongings along with their condition and take a mutual approval for the customer, which clears the state of confusion and accountability between both the parties. We have embedded the tracking software with the vehicle, which allows us to keep a check on the goods like a Hawkeye, which provides security and security to the goods and any kind of flaw activity can be detected at once. We provide customized transportation facility, according to the requirement of the client, which can be on a day to day basis, weekly, monthly, etc. With the aid of tracking system we keep tracking the status of the delivery and thus achieve all our goals (safety, security, time efficiency) with a single arrow from the quiver. Our mission is incomplete until we hand over all the goods safely to the customer hands. Care and smooth service are the best gift we offer to the customer. We consider customer as a part of our business family and understand the importance of their precious belongings. We take exceptional care and follow rigorous safety measures during transportation of goods to different places. The safety isn’t limited to transportation, it involves the whole cycle (packing, loading, transportation, unloading, unpacking). Besides packaging and loading of goods with special care and attention, we prefer to use fully covered vehicle so that the goods doesn’t get affected from weather conditions, which can cause any drastic impact on the goods conditions. We understand the importance of the goods for the customer and hence keep discovering new techniques to improve the customer satisfaction. We ensure complete safety and security of the goods with abundant experience in the industry for almost four decades. With a team of professionals who have been rigorously trained in packing different commodities, driving heavy vehicles, following road traffic rules, mugged up all the geographical area in their mind. Honesty is all about being dedicated and commitment to your task and put your best foot forward in delivering the goods on the right time. We believe you can totally depend on us to deliver your package safely. We believe in enhancing our scope of betterment by using latest technologies such as GPS tracker inside the vehicle, a huge fleet of vehicles, maintenance of our resources, etc. Our claim isn’t a boastful act, but the reputation is earned by our consistent performances and the utmost customer satisfaction in the sand of time. Our motto is “Less on time, bigger on delivery”. We have been relocating the goods safely for almost four decades now and are a trusted name in the business community. Commitment isn’t just a few black alphabets for us, it is a pedestal on which our company is mounted. Earning customer loyalty and not money has been the rudimentary vision since our inception. Our flawless commitment has gargantuan approach has brought the company out of the clutter and made it talk of the town. Quality commitment depicts the promise made by us to the customer in delivering his household belongings, office assets, commercial assets, industrial assets, etc safely to the destination on the predefined time. If there is any sort of damage during transportation, we are ready to bear the damage, which speaks the volume about our credibility. Transporting and delivering the goods safely and timely to all horizons of the world was, is and always will be our commitment to the customer. We take pride in the confidence shown by the various customers for more than four decades. Nothing is perfect, there is always a scope of improvement”, we deep heartily believe in the philosophy. We are a competitive firm and always are a step ahead our competitors, we keep updating our resources and ensure that our services are fine tuned and up to date with the time. Our unique and innovative approach has been the colossal in providing consistent satisfactory solutions to the customer and thus fulfilling all his needs. The services rendered by us have made us the apple of our customer’s eyes and we are given the first preference above other packers and movers companies. We have established various bases all over India to ease the transportation and interconnectivity issues. As per the locations defined by the customer our team of professionals departs from the nearest branch. From relocation, car carrier, freight forwarding, cargo services, we keep all our assets and services sharp and overhauled.